Two Fold performance at the opening of Justene Williams: The Curtain Breathed Deeply, Perth Institute of Contemporary Art, 2016. Image courtesy PICA and the artist. Photography by Ok Media. 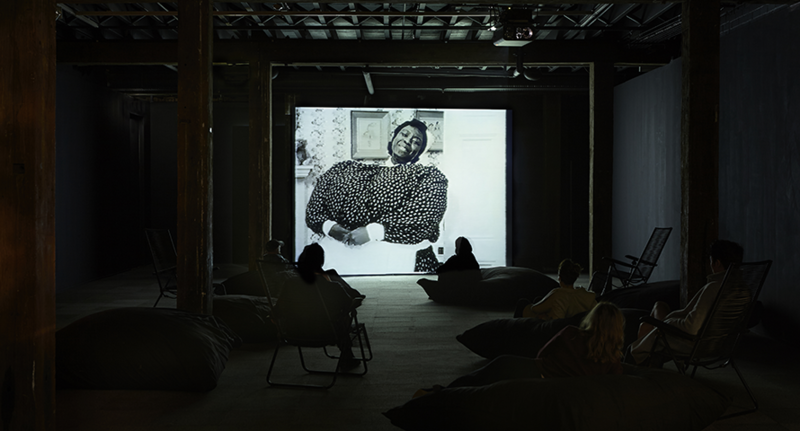 Tracey Moffatt & Gary Hillberg: Montages: The Full Cut 1999–2015 installation view, Artspace, 2016. Image courtesy Artspace and the artists. Photography by Zan Wimberley. Soft Core installation view, Lake Macquarie City Art Gallery, 2017. Image courtesy Lake Macquarie City Art Gallery. Justene Williams: The Curtain Breathed Deeply installation view Perth Institute for Contemporary Arts, 2016. Image courtesy Perth Institute for Contemporary Arts and the artist. Photography by Ok Media. Museums & Galleries of NSW understands the positive impact small to medium sized galleries have on local communities. They inspire their communities and visitors through art, stories and ideas – creating jobs, educational and volunteering opportunities for many ages as well as community excitement and pride. They generate and support creative processes that contribute to economic, social and health related wellbeing, but they do not always have the means to realise their potential. 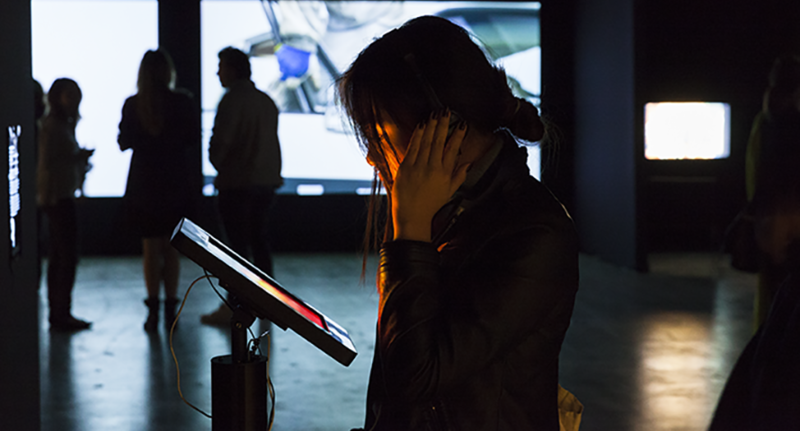 In broadening our support for small to medium sized galleries, M&G NSW have embarked on a new two year initiative, Engaging Art, to help galleries grow audiences for the contemporary visual arts. 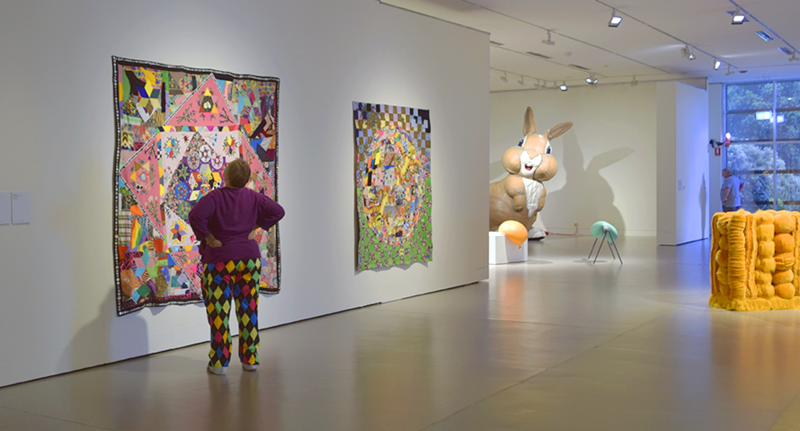 As many will attest, touring exhibitions, their associated programs and resources provide galleries with the tools to engage their audiences in new and exciting ways as well as draw new visitors through their doors. Touring exhibitions allow for the cost effective delivery of significant cultural material that might otherwise be out of reach—both financially and logistically—for many galleries, particularly the 66% of those located outside metropolitan areas, and their audiences. Over 2017-2018 M&G NSW is touring 11 exhibitions of contemporary art throughout regional and metropolitan Australia. Engaging Art will work directly with galleries and their unique communities to grow visitation, participation, enjoyment and engagement, as well as visual arts awareness and opportunities for artists. Engaging Art will develop public program activities and marketing strategies for touring exhibitions such as Soft Core, which presents artistic practices that explore the many facets of ‘softness’ from large-scale inflatables to forms made from soft materials to materials that simply look soft and Montages: The Full Cut 1999–2015 presenting the full suite of eight montage films by artist Tracey Moffatt and collaborator Gary Hillberg. Over the next two years, four host galleries will be invited to participate and an advisory panel of experts will be convened to identify and develop audience engagement strategies relevant to and in collaboration with the communities at each geographic location as well as provide support and resources for host venue staff to engage and further connect their community with contemporary art and ideas. In consultation with the sector and experts Engaging Art will also develop a suite of resources that will support audience engagement activities in the sector and be available to download for free. Long term outcomes will be achieved for galleries and communities as they further develop capacity and skills whilst delivering new programs and activities, creating pilot initiatives to develop into the future.